COLUMBUS – For one week at least, all seemed to be right for the Ohio State Buckeyes. Led by Dwayne Haskins five touchdown passes, the Buckeyes rolled the No. 4-ranked Michigan Wolverines 62-39 in front of just under 107,000 fans at Ohio Stadium. 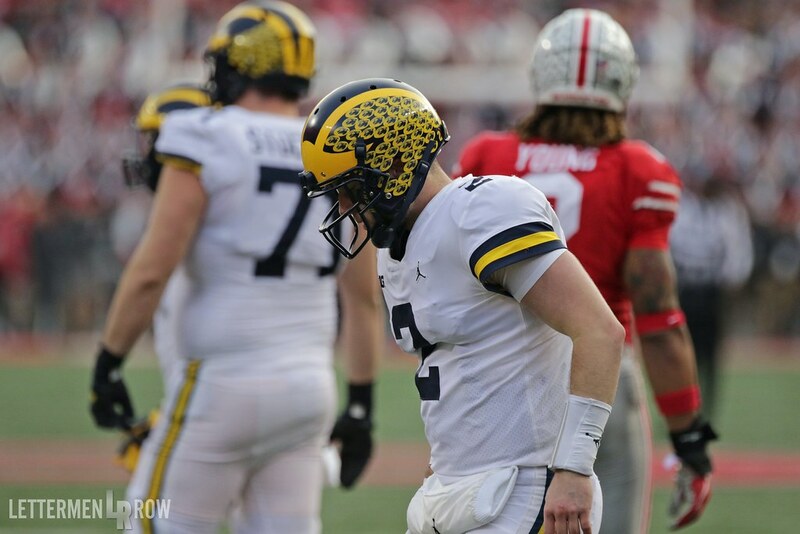 The Buckeyes came out of the gate swinging, and despite a costly stretch at the end of the first half that surrendered momentum back to the Wolverines, never trailed in a game that was billed as a surefire Michigan win. Ohio State freshman receiver Chris Olave caught two of Haskins five touchdowns, but it was his blocked punt in the third quarter that seemed to open the floodgates for the Buckeyes. Ohio State scored 38 second-half points and put up new record number for points and yards in the long, storied tradition of this incredible rivalry. Lettermen Row was on hand for the epic showdown and has the sights and sounds for you. Check out the photo gallery below.